MERRITT, WILLIAM HAMILTON, soldier, merchant, promoter, and politician; b. 3 July 1793 at Bedford, Westchester County, N.Y., the son of Thomas Merritt and Mary Hamilton; d. 5 July 1862 at Cornwall, Canada West. William Hamilton Merritt’s father had served under John Graves Simcoe* in the Queen’s Rangers during the American revolution, and after living in Saint John, N.B., from 1783 to 1785, and in South Carolina, he had settled in New York State. 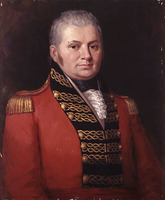 In 1796 Thomas Merritt petitioned Simcoe for land in Upper Canada and in the same year settled at Twelve Mile Creek (St Catharines), where in 1803 he was appointed sheriff of Lincoln County. 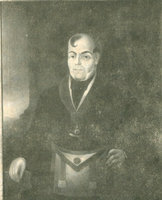 In 1806 his son William Hamilton attended a school run by Richard Cockrel* at Ancaster and later at Niagara. Cockrel, a leading educator in Upper Canada and a land surveyor, taught Merritt mathematics and surveying. He also received some classical education from the Reverend John Burns, a Presbyterian minister at Niagara. 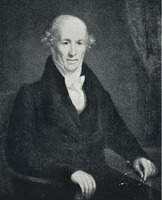 Merritt rounded out his education in 1808 by a voyage to Bermuda with his uncle Nehemiah Merritt and by a visit to relatives in Saint John, where for a short time he attended a school run by Alexander McLeod. In December 1809 he returned to Upper Canada where he began to farm his father’s land grant and an adjoining 200 acres in Grantham Township. 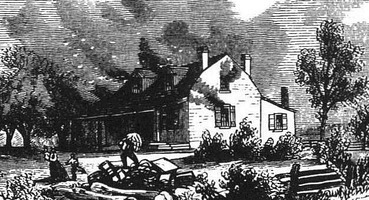 Merritt also opened a general store which sold imported goods and took in exchange farm produce, lumber, ashes, and hides for shipment to Montreal. 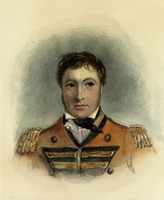 Commissioned a lieutenant in the Lincoln militia shortly before the outbreak of the War of 1812, Merritt was called out on 28 June 1812 with the 1st troop of the Niagara Light Dragoons. He arrived at Sandwich (Windsor) one day after the fall of Detroit, but took part in the battle of Queenston Heights. 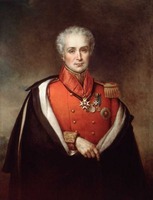 After the troop was disbanded on 25 Feb. 1813, Merritt briefly and profitably engaged in the timber trade. On 11 March, however, he was appointed captain with orders from Brigadier-General John Vincent* to raise a troop of 50 Provincial Dragoons. Although Merritt complained at the time that the troop acted as “post boys and orderlies,” it was placed on patrol duty and saw action in many major battles and minor skirmishes of the war. Illness kept Merritt from the fall of Niagara and the burning of Buffalo, but he fought at Lundy’s Lane in July 1814 and was captured. He remained a prisoner in Cheshire, Mass., until the end of the war. While travelling back to Upper Canada Merritt stopped at Mayville, Chautauqua County, N.Y., where he married in 1815 Catharine Prendergast, whose family had lived near St Catharines before the war. They were to have four sons and two daughters. Merritt now entered into a great variety of activities, beginning as a merchant in St Catharines with outlets in Niagara, Queenston, and the naval station on the Grand River. He sold dry goods, groceries, hardware, crockery, and books, for which he accepted cash and country produce. He also opened a land agency, although he does not seem to have been a major land speculator. 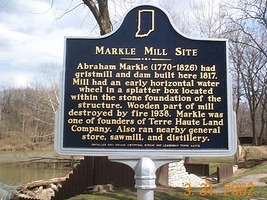 In March 1816 Merritt purchased a mill site and small sawmill on Twelve Mile Creek and shortly after built a grist mill there. That same year he developed a salt spring on his property, built a potashery, and erected a small distillery. With the closing of the Grand River naval station and a general depression following the war, Merritt concentrated his mercantile activities in St Catharines, forming a partnership with his brother-in-law Charles Ingersoll. The depression, over-extension of the business, and bad debts caused them to fail in 1819, but eventually they paid off their debts to Montreal wholesalers. Merritt was left with his mills and other works in which he retained an interest until 1839. Merritt is best known for his part in the promotion of the Welland Canal, linking lakes Ontario and Erie. The idea likely grew out of the need for water to run his mills on Twelve Mile Creek; by constructing a feeder canal he hoped to obtain water from the Welland River and its source, Chippawa Creek, the summit of which was two miles from his mill site. His plan to build a canal to connect the Welland River with Twelve Mile Creek soon grew into a plan to link the two Great Lakes. The canal would improve the St Lawrence transportation system by providing a cheap and convenient means for the products of western Upper Canadian farms to bypass the Niagara Falls portage and to proceed to Montreal and Great Britain. In September 1818 Merritt and a small party carried out a survey which later proved to have seriously underestimated the height difference between Twelve Mile Creek and the Welland River. Soon after, Merritt and 74 others petitioned the Upper Canadian legislature to order a survey by “some scientific men.” The petition also revealed an awareness of the threat posed by the American plan to link Lake Erie with New York City by means of the Erie Canal and the Mohawk and Hudson rivers: “The grand object of the American people appears to be opening a navigation with Lake Erie, which design our canal, if effected soon, would counteract, and take down the whole of the produce from the Western country.” Merritt’s plan had sound economic grounds: only a canal linking lakes Erie and Ontario and the development of canals on the upper St Lawrence could restore Montreal to its dominant position in the western trade. Merritt’s project quickly encountered opposition. Those with interests in Niagara and Queenston faced ruin from the loss of the Niagara Falls portage. The project also encountered financial and political difficulties. Delays were caused by general depression, Merritt’s own difficulties in 1818–19, and the political stalemate caused by the inability of Upper and Lower Canada to agree on the distribution of customs revenues between them. The Upper Canadian assembly was not idle, and a select committee in February 1823 recommended the construction of a canal from Burlington Bay to the Grand River. Strategic rather than industrial or trading considerations dictated this choice of route. Although Merritt had envisaged a canal built by the government, he now saw that for purposes of trade rather than defence a private company was essential. In 1823 he organized local meetings in support of his plan and sought incorporation; despite opposition from Niagara interests the Welland Canal Company was finally chartered by the Upper Canadian assembly on 19 Jan. 1824. Merritt now faced the problem of organizing a company, raising funds, and finding personnel. He began his search for funds in York (Toronto), realizing that he needed the support of the colonial executive. John Henry Dunn*, the receiver general, subscribed and agreed to become president of the company (an agreement soon withdrawn). Attorney General John Beverley Robinson promised his support, and John Strachan played a leading part in the group. With encouragement assured in York, Merritt travelled to Montreal, stopping wherever he might enlist support, including Kingston, Gananoque, Prescott, and Cornwall. Although he received many promises, he got no subscriptions until he reached Quebec City. Funds raised in Upper and Lower Canada fell far short of the authorized capital of £40,000. Forced to look elsewhere, Merritt turned to the Upper Canadian government and to the United States. In August 1824 the directors of the company petitioned the assembly for a grant of waste lands in Wainfleet Township. Lieutenant Governor Sir Peregrine Maitland*, in referring the application to London, advised against approval, with defence in mind. Private investors in the United States remained, and in December 1824 Merritt set out for New York where he met John Barentse Yates, who advanced a large and crucial portion of the necessary funds. Merritt and Yates remained close associates in building the canal until the death of the latter in 1836. The American stockholders quickly proposed larger dimensions for the canal to accommodate sloops as well as boats. With funds available, but with the dimensions unresolved, construction of the canal began on 30 Nov. 1824. Physical difficulties in construction, however, soon necessitated more capital. In 1825 a new charter allowing an increase of capitalization to £200,000 and permitting the enlargement of the canal to accommodate schooners was passed; it specified the branch of the Twelve Mile Creek that flowed through Merritt’s property as the northern section. The 1825 act envisaged a single canal from Lake Ontario up the Twelve Mile Creek, and from that point two branches, one through a deep cut to the Welland River and a second through a cut to the Grand River. Construction went well until 9 Nov. 1828 when the excavation at the Deep Cut to the Welland collapsed. The contractor had encountered sand which would not support the weight of the high banks, and the funds spent on the cut were wasted. The level of water in the Deep Cut had now to be raised by a feeder supplied by a reservoir made by damming the Grand River. Despite these difficulties two schooners passed through from Lake Ontario on their way to Buffalo on 30 Nov. 1829. The canal, symbolically at least, had been opened. The Grand River section opened late in the following year. Between 1830 and March 1833 a channel was cut directly south from the Grand River feeder to Lake Erie at Gravelly Bay (Port Colborne). Merritt’s canal had become a fact. Physical and engineering problems had increased the Welland Canal Company’s financial needs. When in 1825 the House of Assembly permitted an increase of capitalization it also had resolved to lend the company £25,000 and thus became a major participant in the project. Then, when failure to sell the additional shares in England or the United States threatened the company in 1827, the assembly had voted to purchase stock to the amount of £50,000; Lower Canada also voted £25,000. Early in 1828 Merritt realized that another £50,000 would be required for the remainder of the season. One proposal was to send an agent to England to secure the one-ninth of the estimated cost of production, subject to conditions, promised by the imperial government in 1826. After fruitless efforts to raise funds in New York and Philadelphia, Merritt sailed to England from New York on 16 March 1828. The House of Commons appropriated £50,000 sterling for the canal, and Merritt sold the remaining stock to English investors. The collapse of the Deep Cut, however, late that same year, again precipitated a financial crisis. Various expedients such as the issue of company scrip and the raising of loans enabled the work to continue. But when the canal was opened in its earliest form, the company was deeply in debt. Again Upper Canada voted assistance. With the increasing sums advanced by the province, the question of public ownership began to be raised. Merritt realized its inevitability but Yates still believed private capital could pay off all government grants and loans. 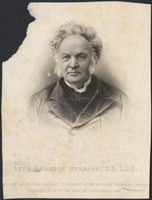 In 1835 William Lyon Mackenzie attacked the company’s management for their identification of the canal with the Tories, thus undermining the efforts of Yates to raise private capital. The depression and rebellions of 1837 delayed public ownership, but in 1843 an act, containing long-term safeguards for the shareholders, ended the canal as a private concern. To Merritt must go credit for the idea, the enlisting of government support, the raising of funds, and the general supervision of the canal project. His vision, however, quickly outgrew the Welland Canal, for as early as 1824 he had begun to dream of a St Lawrence system, with the rapids between Prescott and Lachine as the next place for improvement. In 1832 he, as “A Projector,” published a pamphlet which advocated standardizing the dimensions of the canals and placing them under the sole direction of the legislature of Upper Canada. With the St Lawrence system opened, tributary streams which disgorged themselves into it, could, he said, be made navigable by private companies such as the Grand River Navigation Company with which he was involved as a director and adviser from 1834 to 1857. That company, using funds from the Six Nations band, improved transportation on the Grand River and gave the inhabitants of the area an inexpensive outlet to markets. Where natural water courses were not available, he suggested “rail roads” might be built. In 1836 he himself was identified with the Niagara and Detroit Rivers Railway Company which hoped to build a line between Buffalo and Detroit. Thus, despite his preoccupation with canals, Merritt saw early that railways should be an important part in Canadian transportation systems. For instance, because it was more economical to carry grain on the upper lakes in vessels too large for the Welland Canal, Merritt enthusiastically promoted the Welland Railway, completed in June 1859, between Port Dalhousie and Port Colborne. Using the facilities of the two ports, it did not compete with but supplemented the canal. His promotion of the first international suspension bridge over the Niagara gorge, opened for carriage travel in 1849 and rail in 1855, and his support in 1850 for a rail link between Detroit and Halifax also evidenced his broad views on transportation. He did not forget canals, however, and in 1852 spoke in St Catharines of vessels of 2,000 tons (at a time when ships of 1,000 tons were the exception) sailing from Lake Superior to the Atlantic. An essential ingredient in Merritt’s successful promotion of transportation schemes was his involvement in politics, although his political affiliation is hard to define. He sympathized with Robert Fleming Gourlay following the War of 1812, but identified himself with the Tory party; he held the position of magistrate for the Niagara District from 1817 on and was reappointed after the union of 1841. But in politics Merritt simply advanced his own business and commercial interests. When the Family Compact was in power he supported it, and he changed his allegiance from Tory to moderate Reform to match the predominant mood of the union period. 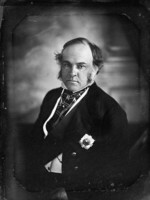 Merritt had first entered the Upper Canadian assembly for Haldimand in 1832 and was re-elected in 1834 and 1836; after the union he sat for Lincoln (North Riding, 1841–47, and Lincoln, 1848–60). 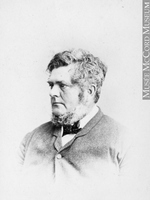 In 1860 he resigned from the assembly and was elected to the Legislative Council for the Niagara division. 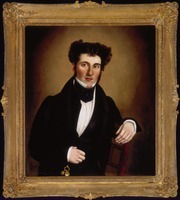 In 1844 he had declined invitations from William Henry Draper* to join his ministry because he considered himself a long-standing supporter of Robert Baldwin*. Merritt served as president of the Executive Council from 15 Sept. 1848 to 7 April 1850 in the government of Baldwin and Louis-Hippolyte La Fontaine, concentrating on public works and trade policy. After Lord Elgin [Bruce] arrived in Canada in 1847, Merritt quickly urged on him the need to establish reciprocity of trade with the United States to increase markets for Canadian products after the abolition of the Corn Laws in 1846 and to make full use of the canal system. Elgin’s early letters to Colonial Secretary Lord Grey clearly reveal the influence of Merritt, who with the encouragement of Elgin visited Washington in May 1848 and June 1849 to promote a reciprocity treaty. By the latter date, Elgin was convinced that because of commercial depression the choice was reciprocity or annexation. Early in September 1849 Merritt and La Fontaine discussed the same subject at Halifax with leaders of Nova Scotia and New Brunswick, but in Merritt’s view the conference achieved little. On 7 April 1850 Merritt accepted the cabinet post of chief commissioner of public works, a position well suited to him; he diligently applied himself in pressing for the completion of the canal system to link inland waters with the ocean. His report for 1850 was a masterly analysis of the water transport system. Although Elgin and many of his contemporaries considered Merritt a visionary, Elgin more than once affirmed his belief in Merritt’s “large views.” However, Elgin did say that Merritt though “honest” was “illogical” and “utterly unscrupulous in his mode of grouping together facts and figures when he has a case to make.” For instance, Merritt’s commitment to retrenchment in government spending clashed with his urging that the Cornwall and St Lawrence canal works be completed. 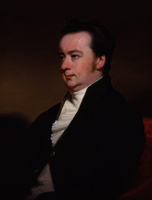 Elgin considered fallacious Merritt’s suggestion that a considerable portion of judicial expenses paid out of the general revenue be shifted to the municipalities, since the plan would transfer rather than abolish the costs. Merritt’s other suggestions for financial retrenchment included abolishing all ports of entry and trusting to public opinion to discountenance smuggling, reforming the system of land sales, slashing the civil list and some pensions, and budgeting a fixed allowance to each department. On 11 Feb. 1851 Merritt resigned from the Executive Council, later explaining that over the years he had been thwarted in his attempts to reduce public expenditure and to develop and sell crown lands to provide funds for canal and railway building. Another reason was that “public attention has been directed to Railroads and other new undertakings, on which the public credit is freely extended, while this great and important communication [the St Lawrence canal system], on which the future prospects of Canada in a great measure depend, has been virtually abandoned.” As for political affiliations he said he had no connection with any parties. Henceforth, he would support measures that, in his judgement, would bring about those changes he deemed necessary for the prosperity of the country. In 1854 he supported the abolition of seigneurial tenure in Canada East and of the clergy reserves in Canada West. Though no longer in the Executive Council, Merritt continued to promote reciprocity, preparing in 1852 an address to the imperial government on the subject. Reciprocity was instituted by treaty in 1854. He was also endeavouring in 1852 to secure the returns of receipts and expenditures from each separate government in British North America with a view towards evaluating the financial possibilities of a union of the colonies. The financial difficulties Merritt experienced in the 1840s and 1850s show that he was not always a successful businessman. 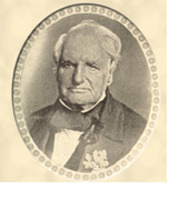 He was a director of the Niagara Suspension Bridge Company incorporated in 1846, and of several small railways in the Niagara peninsula, as well as the St Lawrence Navigation Company. His close association with the Welland Railway Company from 1852 caused him severe financial loss in 1859, but the Niagara District Bank, which he promoted and incorporated in 1841, did prosper. Merritt’s public interests ranged far beyond transportation and trade. In 1843 he visited the United States to gather information for the government respecting the establishment of a provincial lunatic asylum. He worked on behalf of the survivors of the War of 1812 by obtaining medals for those who had fought at Detroit, Crysler’s Farm, and Châteauguay, and played a leading part in the building of the second Brock monument at Queenston. He was active in the affairs of the Church of England, aided the establishment of Grantham Academy at St Catharines in 1829, and as a member of the Refugee Slaves Friends Society helped escaped slaves from the United States in the 1840s and 1850s. 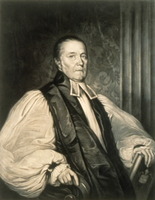 In his later years he encouraged the gathering of Canadian historical records from England and elsewhere, particularly relating to the United Empire Loyalists. 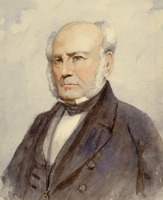 In 1860 the library committee of parliament, through Merritt’s influence, employed his son J. P. Merritt and George Coventry to gather documents. This early attempt at a national archives ended in 1863, shortly after Merritt’s death. Out of the project, however, had grown the Upper Canada Historical Society, formed in October 1861, to which Merritt subscribed. Merritt was a compulsive worker who put in long days, often carrying on when incapacitated. Although happily married, he spent long periods away from his family, and his wife in turn spent much time with her parents in Mayville, N.Y. Their letters and diaries reveal in both a serious turn of mind with little sense of humour. Although not a teetotaler, Merritt was temperate. His contemporaries considered him a “strong and vigorous” speaker, but it was also thought that his “policy is too liberal – his conceptions too vast – his views too comprehensive to be comprehensible by all.” Fittingly, he died aboard a ship in the Cornwall canal. Today Merritt can be seen as one of the great figures in the history of Canadian transportation. But his large scheme for a system of canals linking the Great Lakes with the St Lawrence and the ocean, which finally came to fruition in 1849, was soon challenged by the new technology of railways. In 1853 the New York state legislature consolidated railways to connect New York with Buffalo and by early 1854 the Great Western Railway ran from the Niagara River Suspension Bridge to Windsor. Just as the Welland Canal had suffered from the earlier completion of the Erie Canal, the Great Lakes–St Lawrence canal system suffered from the competition of railways. Merritt’s vision of an eastern Canadian transportation system involving waterways and railways was logical, practical, and consistently pursued. Even if his canal system did not achieve the economic benefits to Canada expected by Merritt, his vision foreshadowed the opening of the St Lawrence Seaway in 1958. William Hamilton Merritt was the author of the following works, some of which were unsigned: A concise view of the inland navigation of the Canadian provinces . . . (St Catharines, [Ont. ], 1832); A brief review of the revenue, resources, and expenditures of Canada, compared with those of the neighboring state of New-York . . . (St Catharines, 1845); Letters, addressed to the inhabitants of the Niagara District, on free trade, &c. (Niagara, 1847); Brief review of the origin, progress, present state, and future prospects of the Welland Canal (St Catharines, 1852); A lecture delivered before the Mechanics’ Institute of St Catharines, on the 21st day of January, 1857 (St Catharines, 1857); Journal of events principally on the Detroit and Niagara frontiers, during the War of 1812 (St Catharines, 1863). The latter pamphlet was reprinted in Select British documents of the Canadian War of 1812 (Wood), III, pt.ii, 543–648. PAC, MG 24, E1. PAO, Merritt (William Hamilton) papers (mfm. at PAC). “Campaigns of 1812–14: contemporary narratives by Captain W. H. Merritt, Colonel William Claus, Lieut.-Colonel Matthew Elliott and Captain John Norton,” ed. E. [A.] Cruikshank, Niagara Hist. Soc., [Pubs. ], no.9 ([Niagara-on-the-Lake, Ont. ], 1902), 3–20. Can., Prov. of, Legislative Assembly, Journals, 1851, 1, app.T. Elgin-Grey papers (Doughty). Farmers’ Journal and Welland Canal Intelligencer (St Catharines, [Ont. ]), 1826–35. St. Catharines Journal (St Catharines, [Ont. ], 1835–62. Chadwick, Ontarian families, I, 191–97. H. G. J. Aitken, The Welland Canal Company: a study in Canadian enterprise (Cambridge, Mass., 1954). J. P. Merritt, Biography of the Hon. 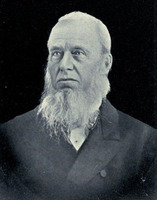 W. H. Merritt . . . (St Catharines, Ont., 1875). A. R. M. Lower, “A half-forgotten builder of Canada (William Hamilton Merritt),” Queen’s Quarterly (Kingston, Ont. ), XLVI (1939), 191–97. D. C. Masters, “W. H. Merritt and the expansion of Canadian railways,” CHR, XII (1931), 168–73. J. J. Talman, “MERRITT, WILLIAM HAMILTON (1793-1862),” in Dictionary of Canadian Biography, vol. 9, University of Toronto/Université Laval, 2003–, accessed April 24, 2019, http://www.biographi.ca/en/bio/merritt_william_hamilton_1793_1862_9E.html.